Professor Myles Allen is a professor of GeoScience at the University of Oxford, Group leader of the Climate Dynamics Group (Oxford), Group Leader of the Climate Research Programme (Oxford), and is a member of the Intergovernmental Panel on Climate Change. In this episode of the Policy Pod, he talks to Luke Goode about climate science, the challenges of reaching Carbon Zero, and his research on greenhouse gases. What are the challenges for New Zealand/Aotearoa to reach carbon net zero by 2050, in light of our dependence on both agriculture and tourism? What are the risks and opportunities? Myles’ work looks at the ways in which we might address methane and carbon emissions, and the scientific differences between them that we need to understand in order to develop effective policy for dealing with climate change. Hosted by Associate Professor Luke Goode for the Public Policy Institute at the University of Auckland. *Professor Myles Allen was hosted by the Public Policy Institute as part of the Global Speakers Series. 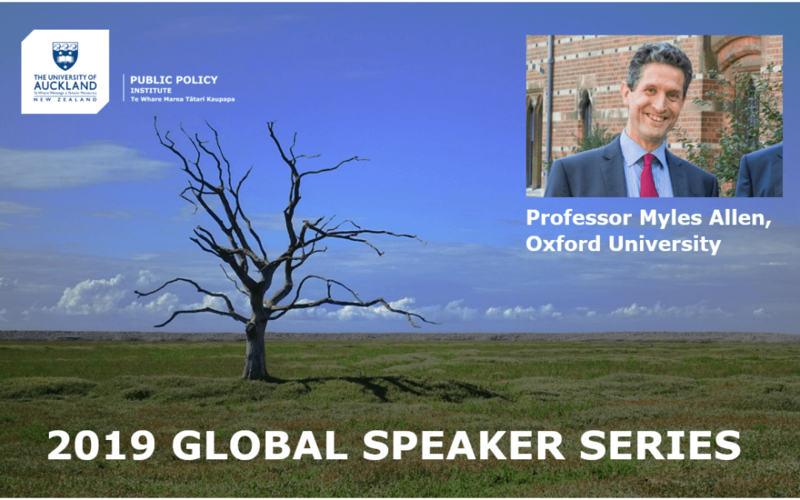 His public lecture was delivered at the University of Auckland on Tuesday 19 March 2019, ‘Leading the World to Net Zero: The opportunities and challenges of New Zealand’s Zero Carbon Act’, and is available here. 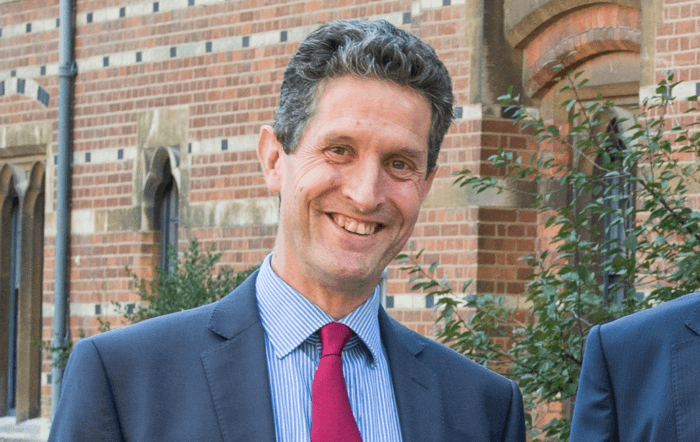 Myles Allen is Professor of Geosystem Science in the School of Geography and the Environment, University of Oxford and Head of the Climate Dynamics Group in the University’s Department of Physics. His research focuses on how human and natural influences on climate contribute to observed climate change and risks of extreme weather and in quantifying their implications for long-range climate forecasts. Myles has served on the UN’s Intergovernmental Panel on Climate Change (IPCC) as Lead Author on ‘Detection of Climate Change and Attribution of Causes’ for the 3rd Assessment in 2001, as Review Editor on ‘Global Climate Projections’ for the 4th Assessment in 2007, and as Lead Author on ‘Detection and Attribution of Climate Change: from Global to Regional’ for the 5th Assessment in 2013. He proposed the use of Probabilistic Event Attribution to quantify the contribution of human and other external influences on climate to specific individual weather events and leads the www.climateprediction.net project, using distributed computing to run the world’s largest ensemble climate modelling experiments. Brought to you by the University of Auckland Public Policy Institute and the Tai Tokerau campus.